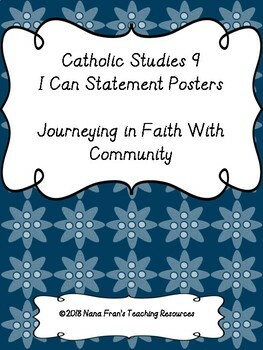 All the learning standards for the Catholic Studies course for Grade 9 align with those of the Saskatchewan curriculum. 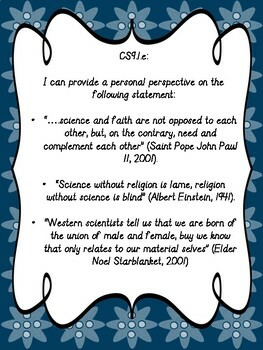 The standards are presented as posters which teachers can display in the classroom. In this way, students and visitors to the classroom can easily see which topics are being covered in the lessons at the time. 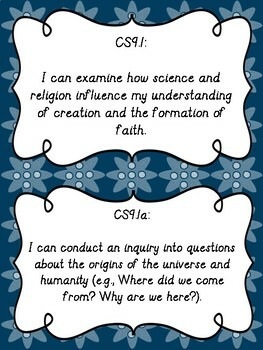 To make the best use of I Can Statement posters, teachers can reproduce the slides and laminate them to keep them for use year after year. They can be easily stored in a folder in a file cabinet. Units to correspond with these I Can Statements will follow. 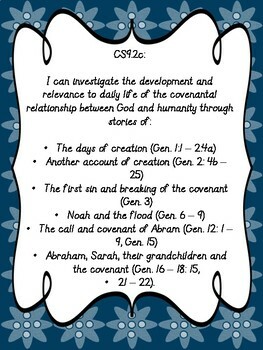 Click the Follow Me link in my store to be notified when new resources are added.